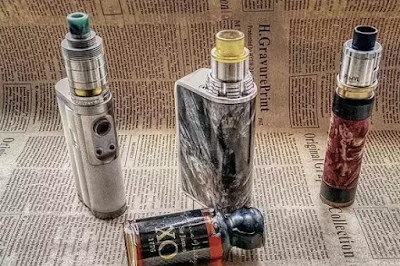 Home > E-cigarettes > Eleaf > Vape > vape life > vape store > Vaping > From smokers to electronic cigarette lovers, how to look at electronic cigarettes? Electronic cigarettes have gone through 13 years of development. As an electronic cigarette lover, I talk about electronic cigarettes in my own opinion. Compared with other electronic cigarette products is a new thing, before the market, and even television marketing, some people buy this kind of cheap, and puffed effect, after use can not reach the effect, leads to distrust for this type of product.When I asked my friends and relatives about smoking, we all thought that electronic cigarettes were useless products. We should look at new things subjectively and treat electronic cigarettes subjectively. Electronic cigarette advertising too much exaggeration, causing many unclear electronic cigarette products, that is used for electronic cigarette smoking cessation. The invention of the electronic cigarette, not smoking, but for smoking, smoking cessation. The electronic cigarette is similar to the taste of cigarettes, smoking behavior and effect. It is a very good cigarette alternatives can really achieve a smoking cessation, or "smoke", still rely on personal perseverance. In the old game player assistant and recommendation, the novice is very fast to use electronic cigarette instead of cigarettes. In order to get rid of tar, carbon monoxide and other combustion hazards. Nicotine, an addictive drug,can promote the brain to produce "success" feeling, once you stop smoking, will cause addicts feel chest empty. When we take in nicotine, emptiness will disappear. Habits and social atmosphere, a lot of movies, there will be a large coffee to enjoy smoking, enjoying the spit fog cloud life, causing us cigarette smoking is an illusion very enjoyable. We think the first cigarette, bitterness, dizziness, nausea, and our subconscious or let me believe that smoking cigarettes it is "enjoy" things. The habit: When we smoke cigarettes, in addition to nicotine addiction, there is a habit of psychological addiction. When we used time to do a thing, do it. The consciousness of people who smoke, will be on the Internet, talk in the process of pumping too much, this is not smoking here, but the psychological addiction to, always used to spit spit fog cloud, smoking a cigarette. Cigarette burning products containing carbon monoxide, tar and other heavy metals, will cause hypoxia, carcinogenic and other hazards. Cigarette smell and smoke, for some people is unbearable. The electronic cigarette is not completely harmless. It is the principle of smoke through the resistance wire heating atomizing oil smoke, smoke containing mainly edible glycerin, edible essence, nicotine, relative to cigarettes are essentially different. The product, more portable, more healthy, more in the direction of the development of electronic cigarettes for cigarettes, is in line with this direction, can relieve the symptoms of nicotine withdrawal, no open flame, no dust, we must believe that science and technology products. You can get the products on Eleaf® iStick E-Cigarettes Vape Online Store.